SRINAGAR, India (AP) — Heavy snow caused avalanches and landslides that killed 11 people and trapped another in the Himalayan region of Kashmir, officials said Friday. Rescuers cut through mounds of snow to reach 11 people — seven policemen, two firefighters and two prisoners — who were trapped in a fire station in the southern Banihal area overnight, said top police officer S.P. Pani. They found the bodies of three of the policemen, the two firefighters and the two prisoners, and three policemen were rescued alive, Pani said. He said the rescued men were hospitalized while efforts to find the missing policeman continued. Pani said the policemen had taken shelter in the fire station because it had not been damaged by past avalanches in the mountainous area, where landslides are common. Elsewhere, a man and his wife died in the southern Kokernag region when an avalanche hit their home Thursday evening, police said. Two other family members were rescued. Officials said a landslide also hit a key highway connecting the Kashmir Valley and Jammu near the southern Ramban region, killing two people. 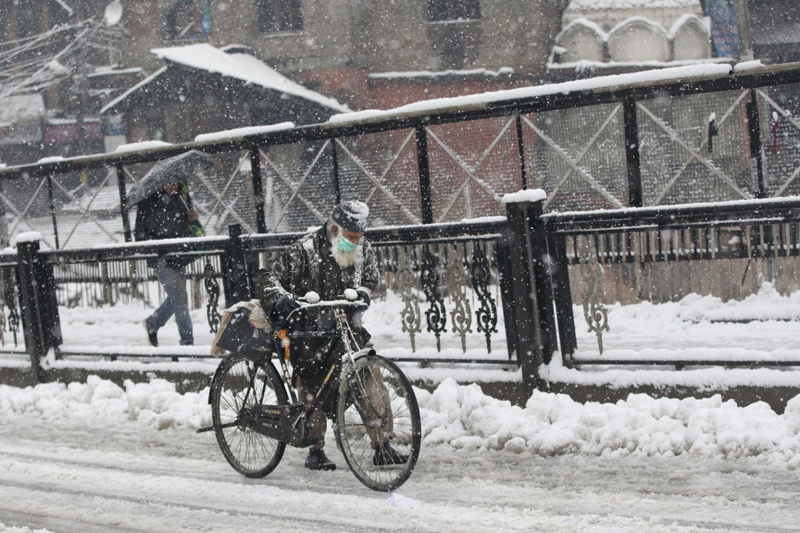 Dozens were evacuated from high-risk areas following heavy snows that disrupted power and communications as well as air traffic in the Indian-controlled portion of Kashmir, while cutting off the Kashmir Valley from India. Authorities issued a high-danger avalanche warning in many parts of the region. Last month, 10 workers were killed when an avalanche hit a Himalayan mountain pass bordering China in the Indian-controlled portion of Kashmir. Rescuers took about a week to retrieve the bodies. Last year, 11 civilians died in an avalanche near the highly militarized Line of Control that divides Kashmir between Indian and Pakistan-administered areas. Avalanches also have caused some of the heaviest tolls for the Indian and Pakistani armies camped near the de facto frontier dividing their territories. In 2017, at least 20 Indian soldiers were killed in three avalanches, and in 2012, a massive avalanche in Pakistan-controlled Kashmir killed 140 people, including 129 Pakistani soldiers. Kashmir is divided between India and Pakistan and is claimed by both in its entirety.